How to spend time apart in marriage from someone who has been there. There are many ways to test a relationship, and I had no interest in any of them. But life happens. You find yourself in situations you never expected. He didn’t walk out, get thrown out or wander off to ‘find himself’. My other half just chose to live halfway around the world (yes, I have measured it) for a once-in-a-lifetime job. My long-distance living arrangement was unexpected and I wasn’t exactly happy about it. My husband and I have lived apart before, but never for this long and this far away. And not since we’d had children. So I dug back into Google archives to find that magazine article and remind myself why the author said this could work. One of the reasons hit home: it helps you define and redefine your core ‘values and personal sense of self’. Now you’re talking my language. I’m all about teaching others how to define who they are and how to express it. I never imagined a year and a half away from my husband would help me do that for myself. He went alone because I chose to stay behind to let my eldest son finish secondary school. While it made sense on paper, I admit to having a sinking feeling when he said “yes” to the offer. However, just a few months into the new arrangement when people started asking me, with caring and sometimes worried expressions, “how are you holding up?”, I surprised myself with my reaction. I realised I was happy. I can understand if that sounds a bit worrying. Let me explain. It turns out, I’ve rediscovered what it means to be ‘me’, not ‘us’ and it’s given me more focus than I’ve had in years. I’ve had a lot of fun with girlfriends who I now realise may have been overlooked when hubby was still at home. Instead of dragging him unenthusiastically to the theatre and ballet, I’ve gone with them. It’s a win-win. When I dared to admit how well things were going to a select few friends who I figured might ‘get’ it, I discovered that I’m not a freak of nature, nor is there anything fundamentally wrong with my relationship. Instead, this seems to be a secret some women already know. They have partners who are in the military, who travel non-stop or have chosen what my hubby and I have — jobs in two different locations. They all agree: the time apart can actually be very productive and satisfying. So, after getting past the initial shock, here’s my frame for a year and a half without my husband: a gift. Alain de Botton talks about love and relationships. Post continues after audio. How often do women have an entire 18 months to schedule me time without guilt? Especially after 20+ years of married life? My boys are teenagers, and as long as they are fed/clothed/watered, they are generally happy with me on the periphery of their daily lives. In fact they prefer it. So, an evening out, a weekend girls’ trip, even long hot baths followed by long, satisfying reads alone in my room don’t faze them. I’ve also revelled in my creative work – writing – which I can now do at 10 pm without worrying that anyone’s being ignored. To be honest, I am hesitant to do these things when my husband is home. Our time together is so limited because of his work schedule, that when he is around, I prioritise spending any free time I have with him. It’s startling now to see how much time that actually leaves me – time I never really missed before, but treasure now. Not to suggest my husband single-handedly set the rules, but now I do. Often, I would consult with him before making any final decisions about what the boys wanted to do, or even what I wanted to change around the house. These days, though, it’s just impractical to check in every instance with my other half, especially when questions crop up at four in the afternoon here, which is often four in the morning where he lives. So, with no restrictions, I often have the final word. And it’s empowering. Pallas and her husband. Image supplied. Room for all my "stuff"
Imagine, for a moment, having the entire wardrobe to yourself. We&apos;d just finished a renovation when my husband left, so I gleefully claimed both the upper and lower hanging rods and all the cubbyholes for myself. The bathroom is also entirely mine, too. And I can use vanilla bean air diffusers to my heart&apos;s content. Lastly - and oh my boys may not forgive me for sharing this - I like to call us the &apos;Three Musketeers&apos; when Dad&apos;s away. I adore planning adventures that we enjoy - and may not be Dad&apos;s first choice for fun. We&apos;ve enjoyed a &apos;Star Wars&apos; film festival (okay, Dad would have liked that one); a university tour/vacation; a few picnics by the sea; a trip with grandparents to Doubtful Sound and a "glamping" experience. There is a reason why I wanted to open up about this alternative living arrangement - to share something that I realise will now leave me wide open to skeptics and critics. While I&apos;ve focused on the lighter side of life alone, I have too many friends who have found themselves unexpectedly on their own. While these were truly rough transitions, these women have ended up becoming incredibly inspiring, stronger versions of their former selves. For those who have managed to stay afloat in the often choppy waters of a 20+ year marriage, the survival skills they&apos;ve relied on have sometimes left them unknowingly co-dependent -- not able to prioritise themselves within the context of a long-term relationship. Finally, as that magazine article highlighted, separations for job opportunities in our global economy are not uncommon. I want to make sure that anyone who is wondering whether or not to make that leap, can see how this kind of arrangement is survivable - even &apos;thriveable&apos; - if you know how to frame the situation. It can help you find your centre, and your &apos;sense of self&apos; again. Pallas is a speaker, writer, mentor and founder of a personal leadership development and strategic communications consultancy called POP. Her TEDx talk about Leading an Extraordinary Life was delivered at the first TEDxWomen event in New Zealand. 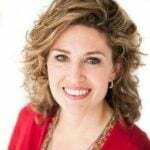 She is co-author of The POP Process, Discovering Your Passion, Purpose & Personality, and just released Discovering Yourself in New Zealand, Inspiration for Reinventing Your Life as an eBook on Amazon. To learn more, visitwww.pop.today.